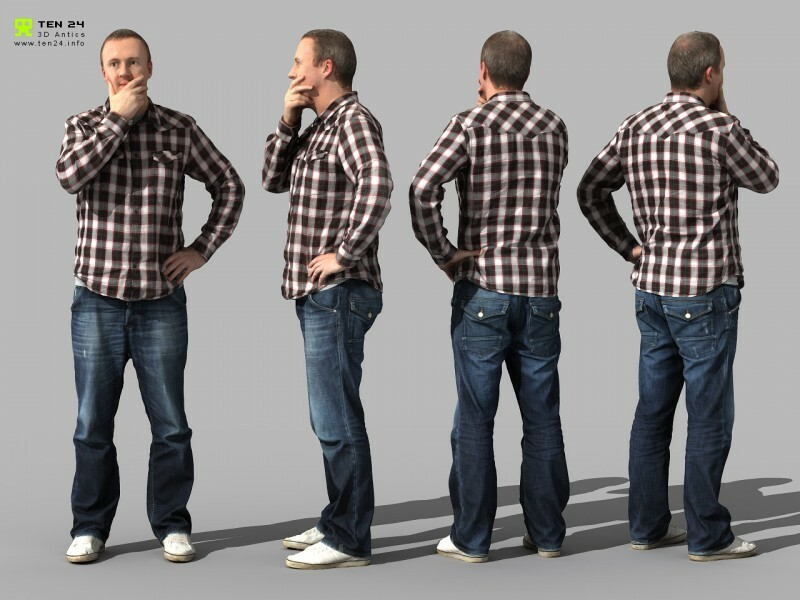 This is the first test using our 80 x Canon DSLR full body scanning system. We are able to capture any pose in full colour in approximately 1/10,000th of a second. With this being our first test there is definitely room for improvement in terms of texture quality and capture volume. Using 80 cameras gives us an immense amount of texture detail. We are working hard to reduce our full body scan time, initially we started with full body tests taking as long as 30 seconds using only 9 cameras, however over the last few weeks we have managed to bring that down to 5 seconds using a new 16 camera set-up with 2 more cameras for the face 18 in total. Obviously the definitive solution is to buy 100 cameras, reducing the scan time to that of the shutter. 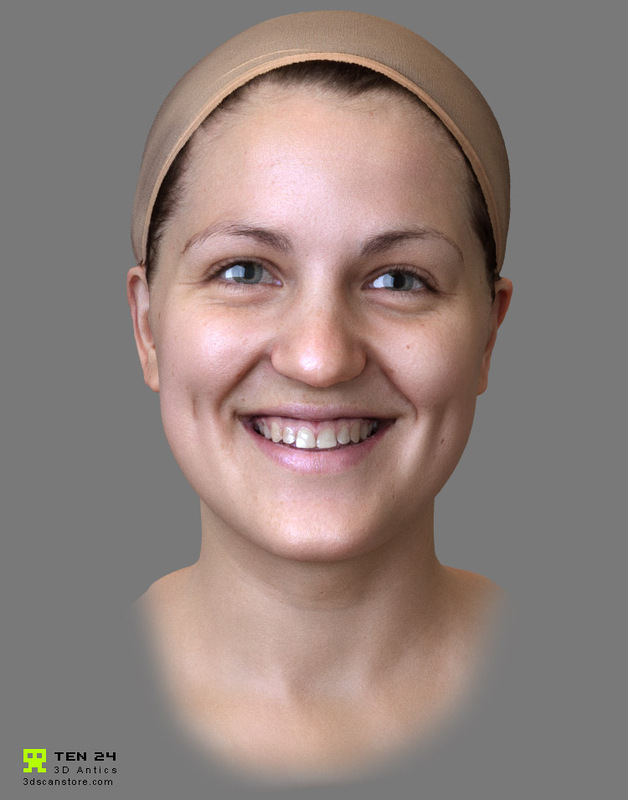 However we are confident that a 20 – 30 camera rig is capable of capturing very high detail full body / head scans. We are trying to keep our rig as minimal as possible at the moment we can pack it into a few cases which is great for portability. 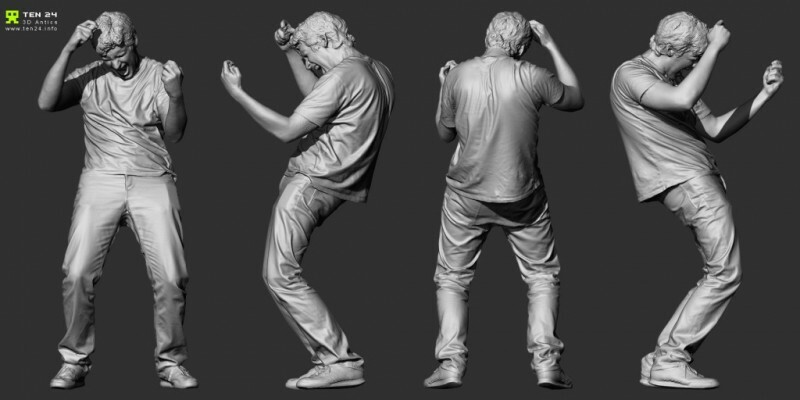 We have just released the first of many full body 3d Scans. 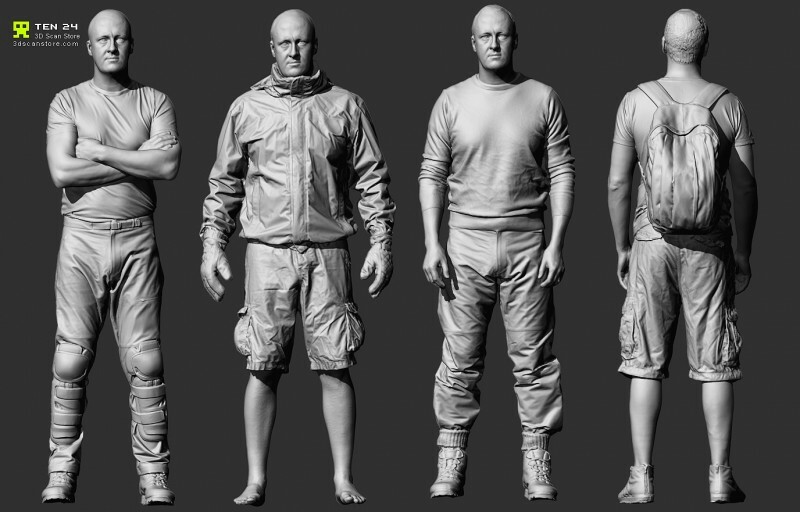 these are simply intended as clothing / wrinkle reference for digital sculpters, there are only 9 at the moment but over the coming weeks / months we are hoping to add a lot more including full body anatomy scans.